"A stretch, lightweight, and breathable softshell, the Eider Men's Swift Hybrid 2.0 Jacket is ideal for ski touring and active sports. Windstopper blocks out the wind at core, while the three-layer Gore-Tex Active Knit provides waterproof/breathable protection in exposed areas. With a brushed mesh on the inside for warmth and breathability, the jacket is comfortable next to skin when wearing short sleeves. The high collar blocks out the wind and underarm vents come in handy when the temperature fluctuates. 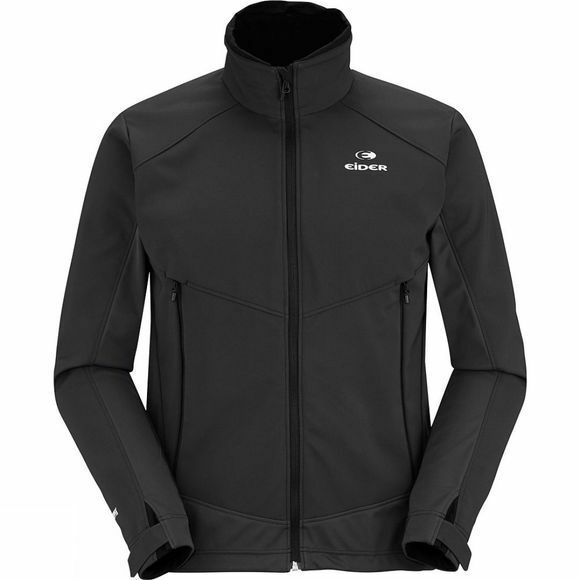 When wind is your greatest enemy, the Eider Men's Swift Hybrid 2.0 Jacket is your ideal shield.